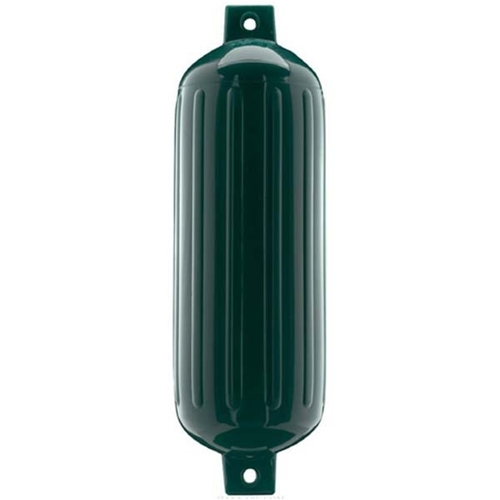 Polyform G-Series Twin Eye Fender - Forest Green G4FG 6-1/2" x 23"
Polyform’s G Series boat fender has raised the bar for quality and appearance in utility fenders. Subscribing to the philosophy that quality does not have to cost more, including ribs for extra strength, inflation valves for larger sizes and reinforced ropeholds for long-term durability. The versatile G Series fender comes in a variety of Polyform colors, enabling you to create the look you want for your boat. I had purchased cheap ones in the past and found that they get really hard and brittle over time. Won't be doing that again. Polyform makes the best fender on the market. The color is brilliant! Replaced one of these that we lost. Great Price !!!!!!! from Las vegas, NV Great Price! Great fender at a great price and fast shipping. Thank you Boating Solutions for your help with these. I purchased two of these for replacement of one that I lost when trailering down the road from the lake. There very durable BUT STOW THEM AWAY WHEN TRAILERING or you could loose them. Great price and fast shipping.